When you are new to Cassandra many people wonder what is that keyspace. In order to start exploring the Cassandra, we must have a basic idea of keyspaces work and how they can be created. So whenever you are planning to create a keyspace in production Cassandra you must know what are the do’s and dont’s. 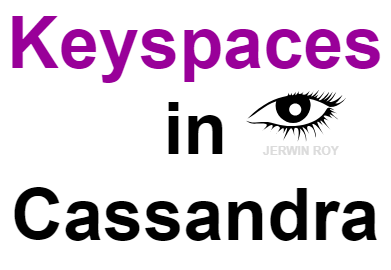 Hence in this blog post, we are going to discuss more regarding the Cassandra keyspaces. This strategy is a simple one which treats the entire cluster as a single data center. It also consists of another parameter called as Replication factor. It defines the number of copies of the replica to be maintained in a cluster. This strategy is used to specify the data centers and the number of replicas to be placed in each data center. The major impact comes here in creating the keyspaces. When Cassandra receives a write request at first a copy os written to disk on a append only structure called commit log. Then it is written to a memory structure called memtable. When memtable reaches a certain limit the data gets flushed to a structure in disk called SSTable. Enabling durable writes the data to the commit log. By default, it is enabled and it’s not advisable to disable the durable writes in a simple strategy replica cluster. Thus this is the simple way how the keyspaces in Cassandra work. Hope you might get an idea of how easy it is to create them. If you have any queries regarding the keyspaces in Cassandra let me know through the comments section.